Janet Paisley is a versatile short-story writer, poet and playwright who relishes the different disciplines of the different forms. Her readings are extremely popular. 'Ye Cannae Win', a collection of her poetic monologues, was published in 2000 in the Chapman Wild Women Series. She is co-ordinator of the Scottish PEN Women's Committee, which inaugurated the Naomi Mitchison Memorial Lectures and is making international links with women writers. 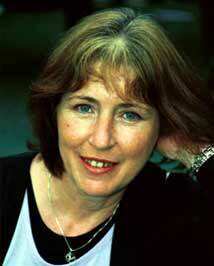 Janet Paisley's first poetry collection, 'Pegasus in Flight', came out in 1989. A leading Scottish writer of drama for stage, television, radio, and cinema, she is a member of the Working Party for a Scottish National Theatre. One of her play scripts, 'Refuge', won the prestigious Peggy Ramsay Award in 1996. In 2000 she won a Creative Scotland Award to write 'Not for Glory', a collection of linked short stories in Scots, set in Glen Village near Falkirk, where she lives. The project involved working with young people in the community, encouraging them to realise that 'literature comes from your own doorstep and in voices that you know'.